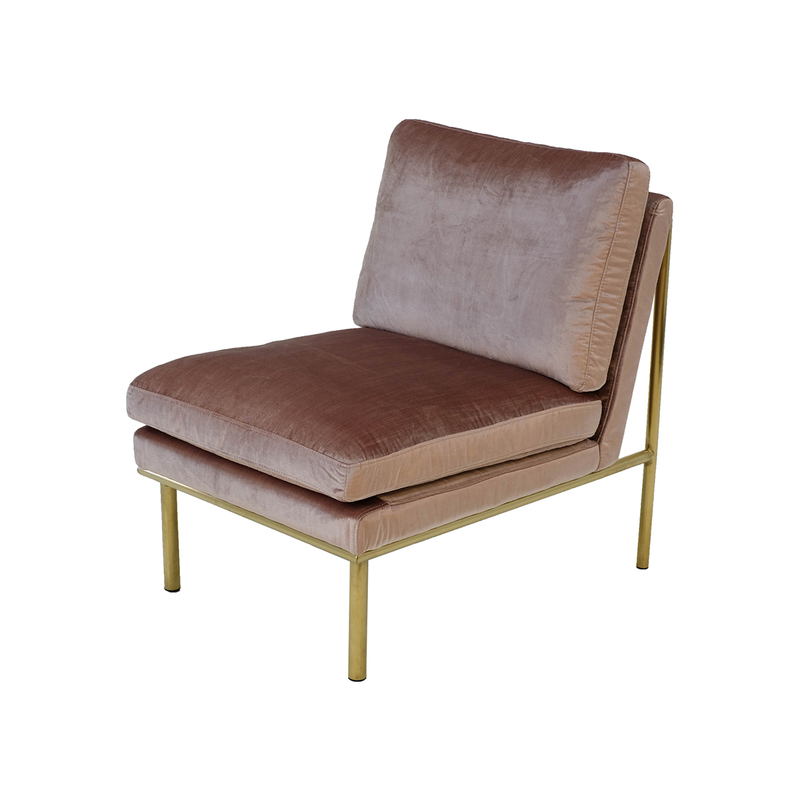 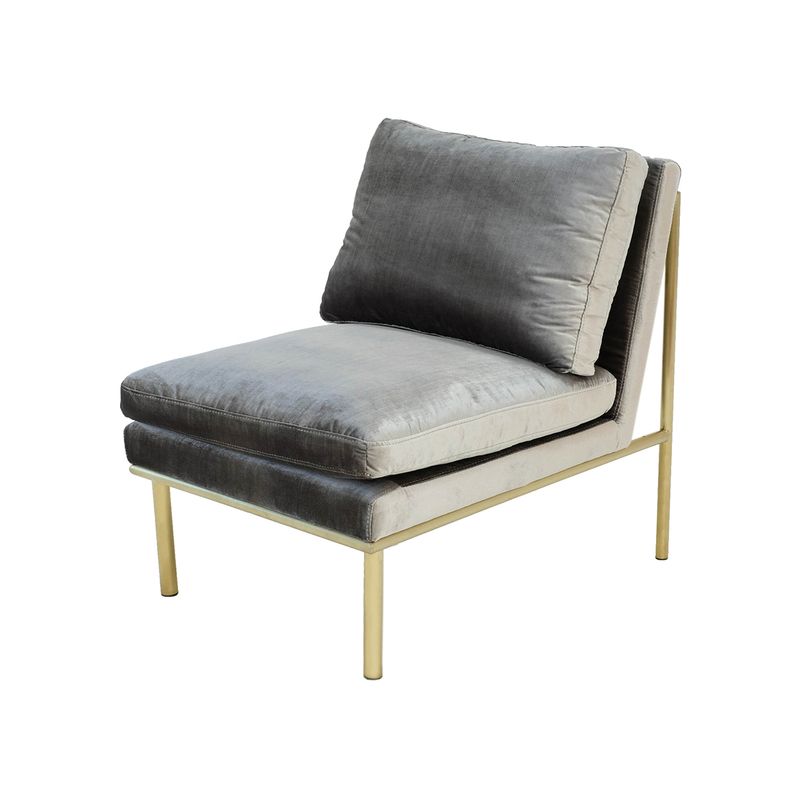 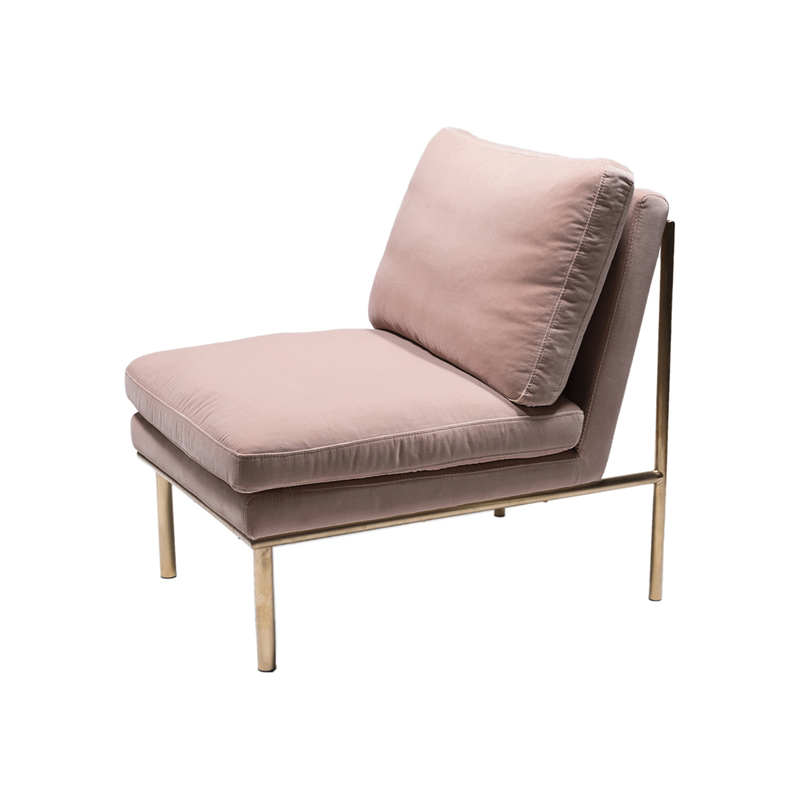 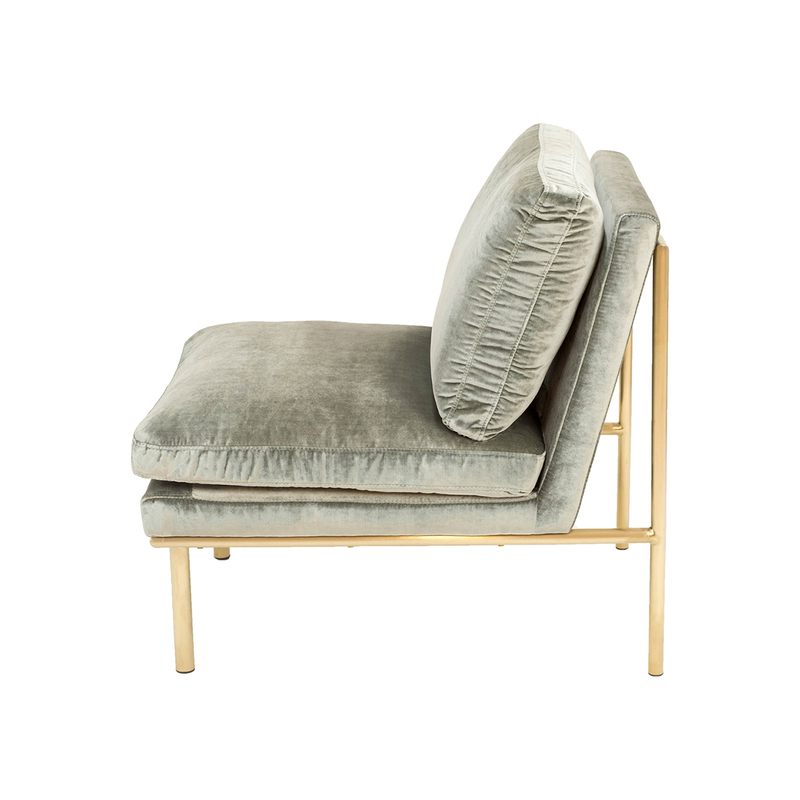 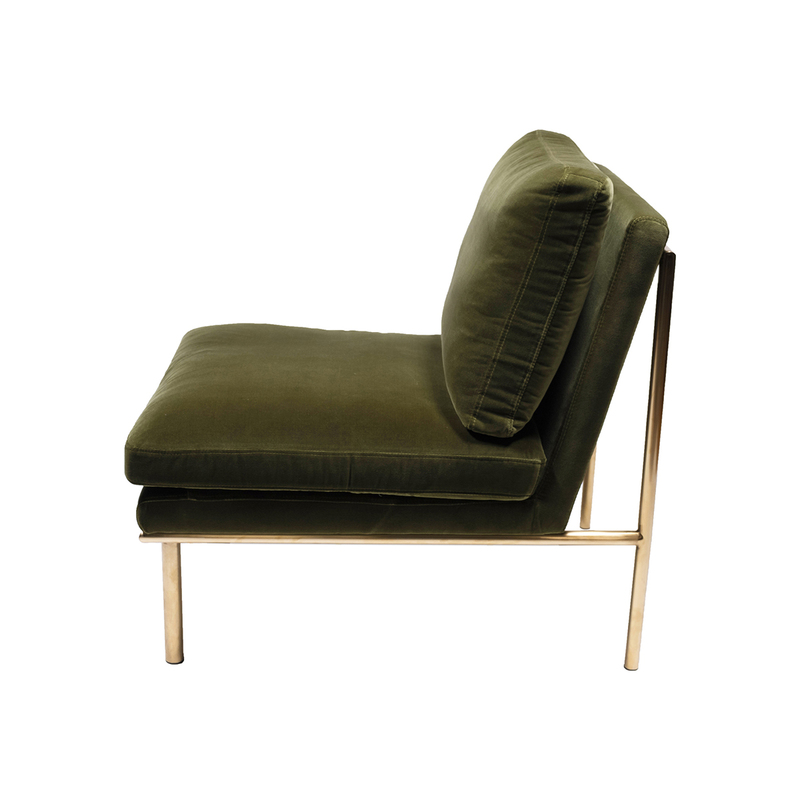 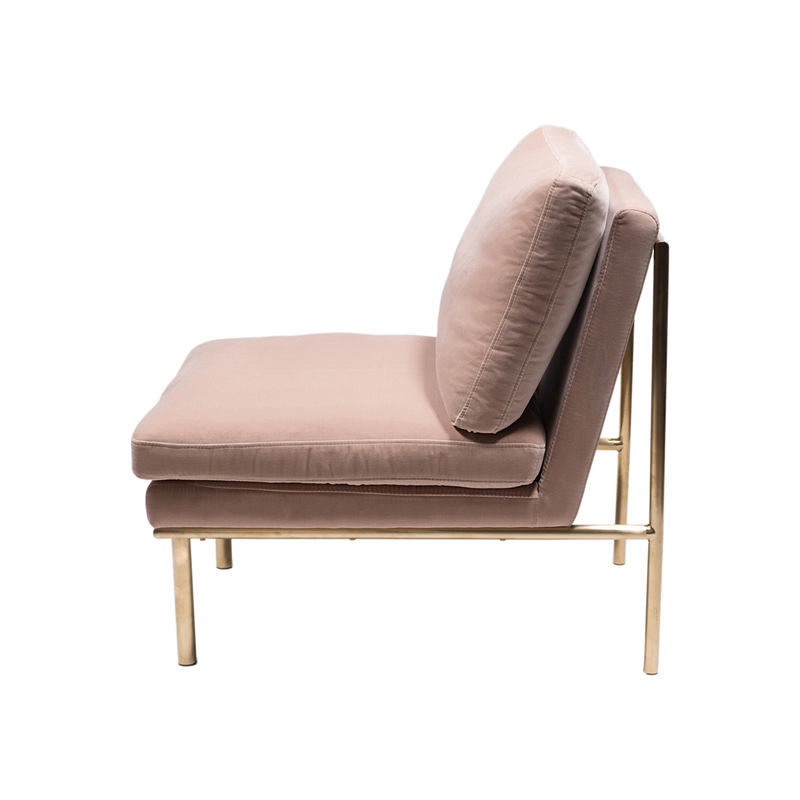 This modern chair has great attitude thanks to its chic shape and relaxed approach. 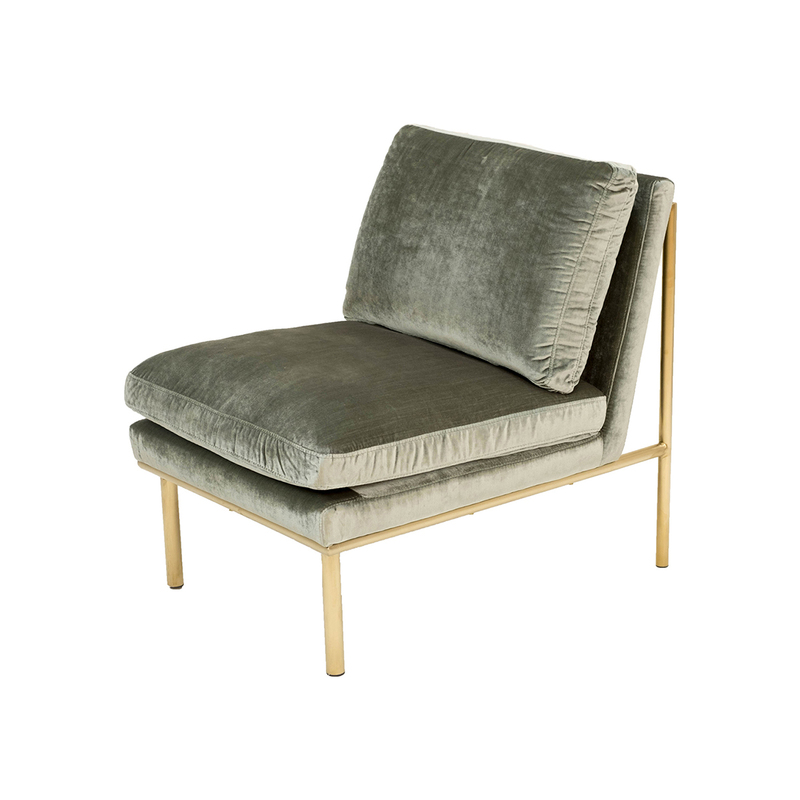 You can pair two next to each other for the perfect ‘lounge’ feeling but it also works great as a decorative element. 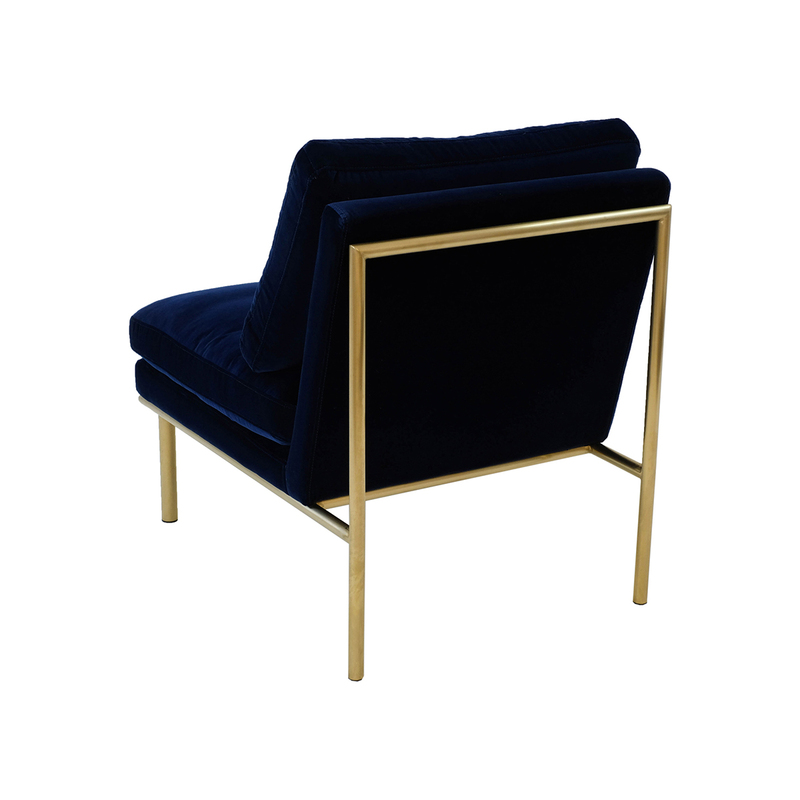 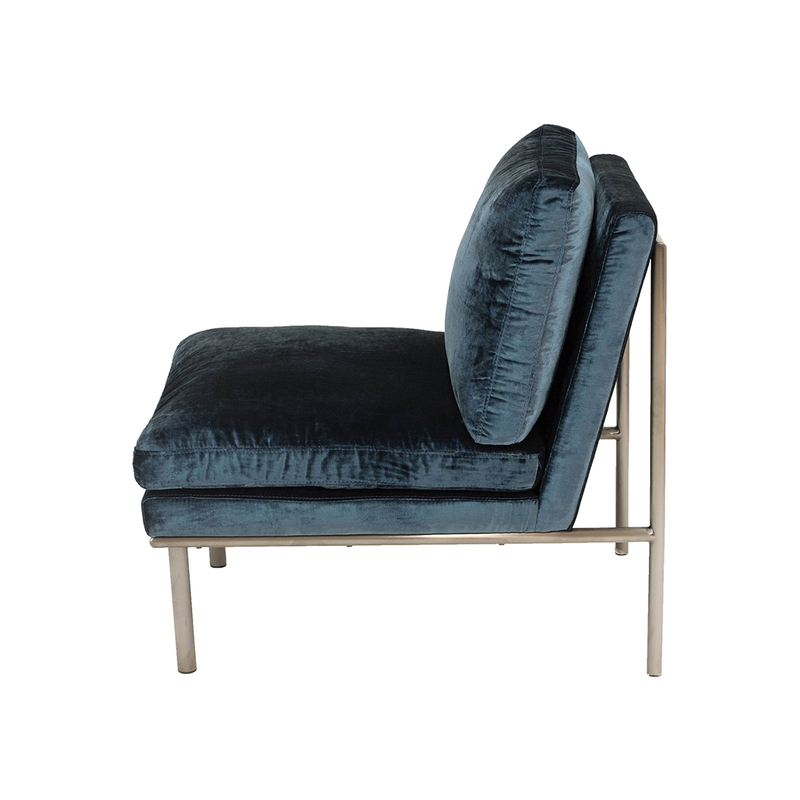 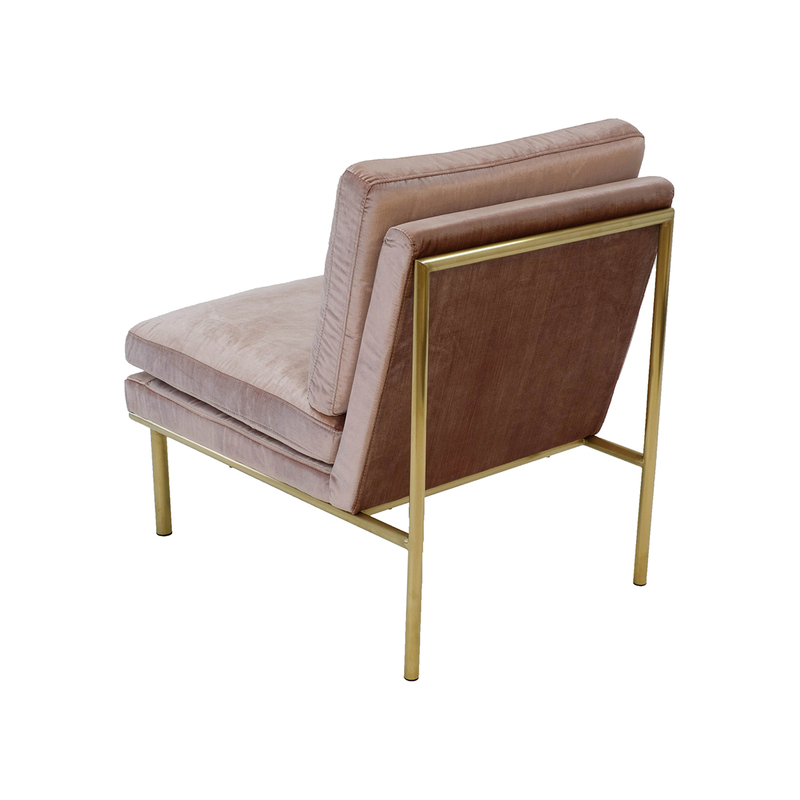 The steel frame is available in both brushed brass and brushed black chrome. 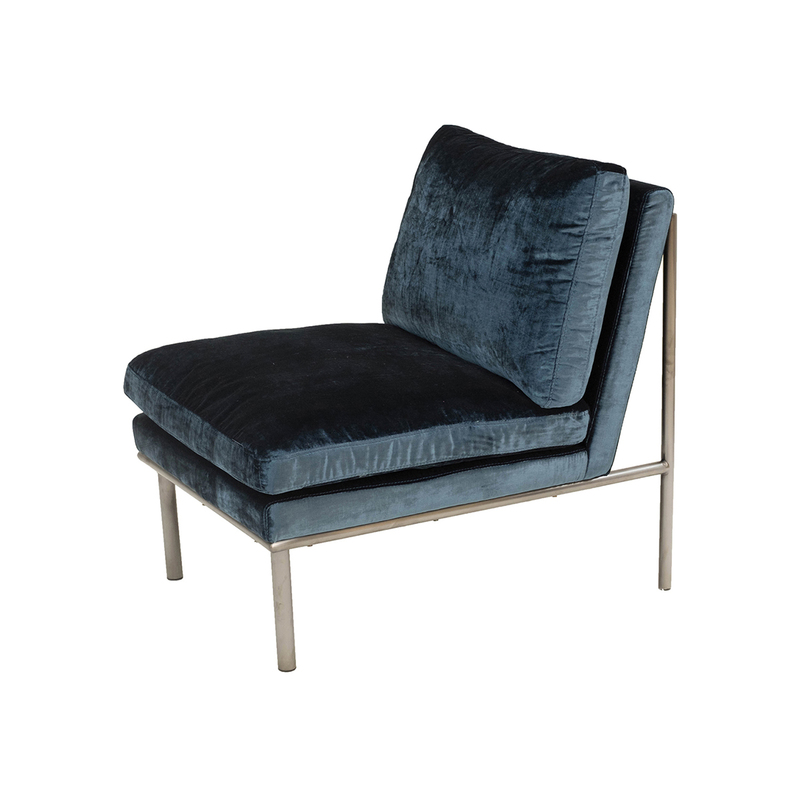 Choose between many colors of velvet like pink, green, blue, grey and red.